Westminster College of the Arts Dean Marshall Onofrio canceled a WCC faculty meeting on April 2 because a member of Rider’s chapter of the AAUP planned on attending. Marshall Onofrio, dean of the Westminster College of the Arts, canceled a meeting he scheduled for Westminster Choir College (WCC) faculty on April 2 after he was informed that Jeff Halpern, Rider’s chapter of the American Association of University Professors’ (AAUP) chief contract administrator and grievance officer, wanted to attend. 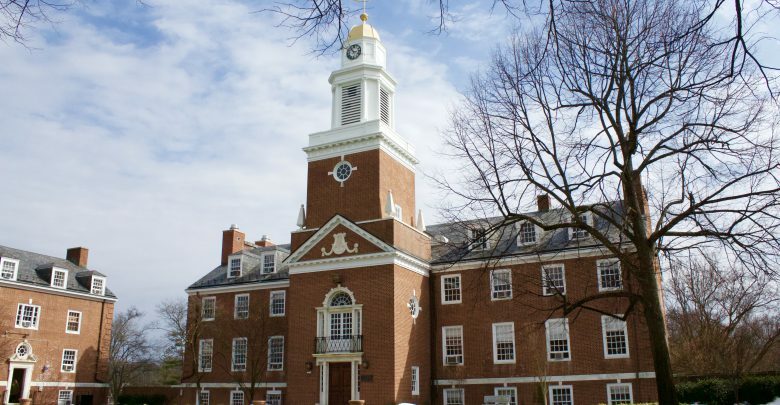 But choir college faculty decided to meet anyway, without their dean, as the campus continues to be roiled by Rider administrators’ plan to sell it to a Chinese company for $40 million. According to an email from Onofrio to WCC faculty, the meeting was called to discuss unspecified “events related to Westminster” and was closed to those outside of WCC faculty. Onofrio cited the National Labor Relations Act in defense of his decision to close the meeting and said other members of the AAUP from WCC were invited to attend. Onofrio concluded the email with a final statement about the intended dialogue of the meeting and ultimately cancelled it. Phillips emphasized the importance of Halpern’s presence at the meeting. Despite the cancelation, Phillips and other WCC faculty decided to have the meeting anyway and sent Elem Eley, a professor of voice, to inform Onofrio of their intentions. According to Phillips, Onofrio refused to attend the meeting if Halpern was present. Eley said he was suspicious of Onofrio’s response. In a statement to The Rider News, Onofrio reiterated his reasoning for canceling the meeting and further emphasized his refusal to attend the meeting because of Halpern’s presence. While it is not clear what the original meeting was called to discuss, Phillips said the independent meeting addressed the recent Attorney General report regarding the sale of WCC and Rider’s lack of compliance in records requests. “We concluded the deal can never go through because of what the acting Attorney General already concluded,” Phillips said. Rider faces a pair of lawsuits opposing the sale of WCC, and the ongoing review of the proposed transaction by the state Attorney General’s office. A court date has been scheduled for April 15.